The Falls House is one of our newest additions to River of Life Farm. 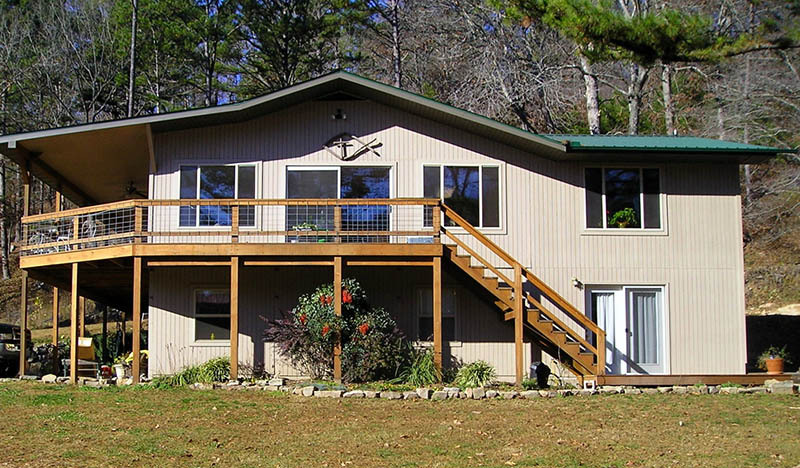 This newly remodeled home is situated in perfect view of the Falls on the North Fork River. The ROLF grounds and next door Mark Twain National Forest offer numerous hiking and nature sightseeing trips for all skill levels. All the modern comforts of home including a fully equipped kitchen, microwave oven, and air conditioning are there for your needs. Enjoy the 400 sq. ft. deck overlooking The Falls. Relax in the swing, and deck furniture as you listen to the roar of the North Fork. Watch the North Fork come alive each morning from your dining rooms picture windows. The master bedroom suite has private bathroom with double whirlpool tub. There are 5 other bedrooms and 2 more bathrooms. This Missouri luxurious vacation home will sleep up to 10. Sit around the fire in the outdoor fire ring in the garden area in the evening. The Falls House is already booked for Memorial Day 2019 at which time we will have interior pictures. 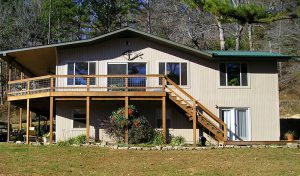 It’s the perfect Missouri secluded cabin for your family getaway, Ozark hiking vacation, canoeing/floating trip, and family vacation. Plan a day outing to nearby Missouri attractions. 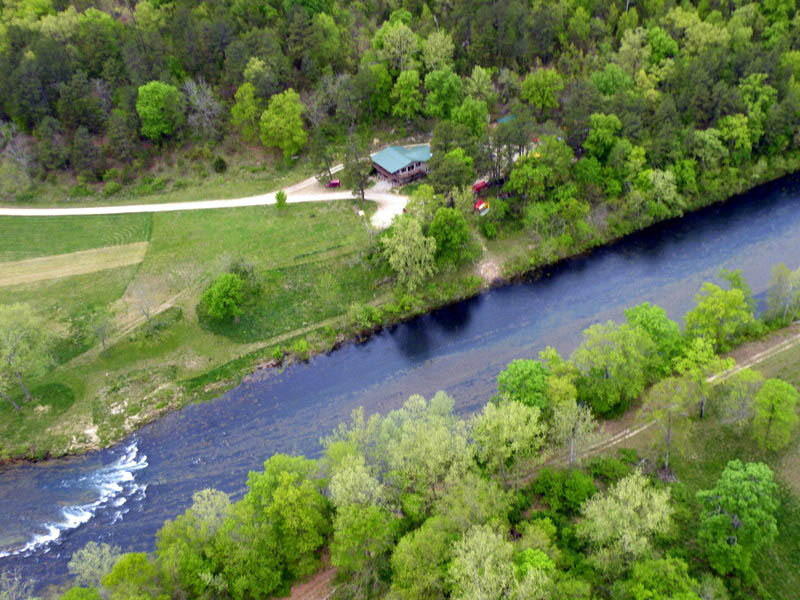 Enjoy a day on the river with Missouri's finest fly fishing guides. Make your reservation now! We are open all year! $10 per each additional child 5-11 years. or use our Online Reservation link. NOTE: ALL cabins have a Charcoal BBQ. Please bring your own charcoal and lighter fluid. ALL cabins have full kitchens with eating accessories. Please bring your own paper products if desired. ALL cabins have towels, bedding & extra blankets. Bathrooms are stocked with paper. NO PETS Please. See our policies page. A deposit of one nights lodging, or one-half of the total lodging amount (whichever is larger), is required. This can be secured by credit card, or by personal check. If the reservation is cancelled 30 days prior to arrival, the deposit will be refunded less a $25. or 5% of deposit; which ever is greater. Official time for check in is 3 p.m. unless your cabin is clean & ready before then. Checkout is 11 a.m. unless there is not a check in party waiting for the cabin. In this case we will work to give an extended check out.